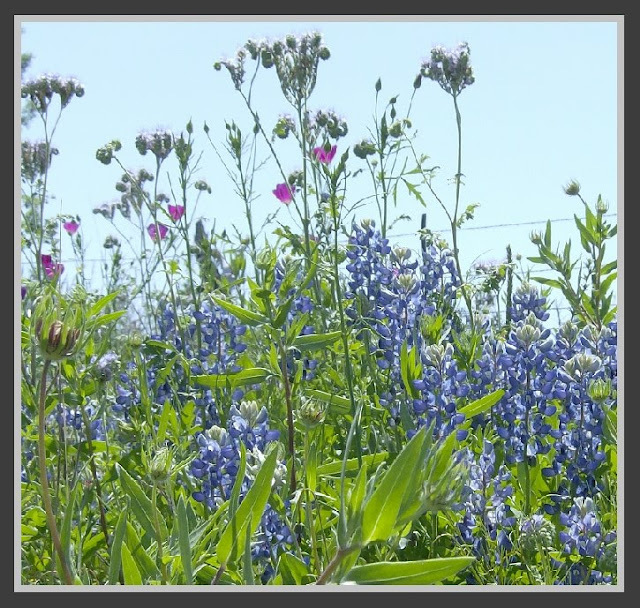 CollectIn Texas Gal: On The BlueBonnet Road Again! 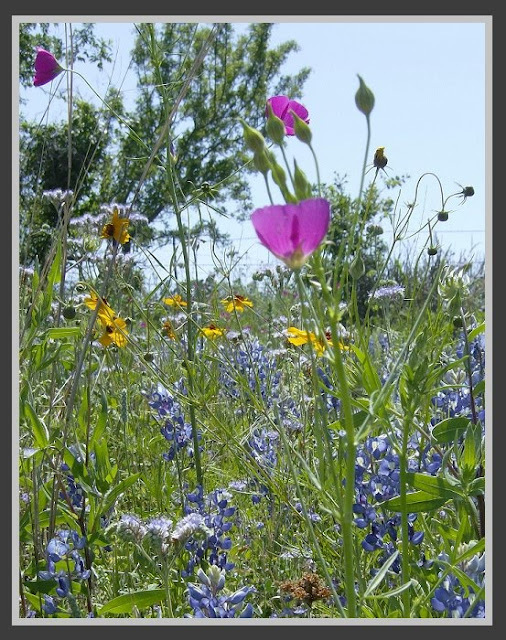 PS...Sarah at Hyacinths For The Soul has posted about the LadyBird Johnson Wildflower Center in Austin. Don't miss this beautiful and informative post about another Texas Wildflower, the Evening Primrose. It was a favorite of the former First Lady and Texas Gal. 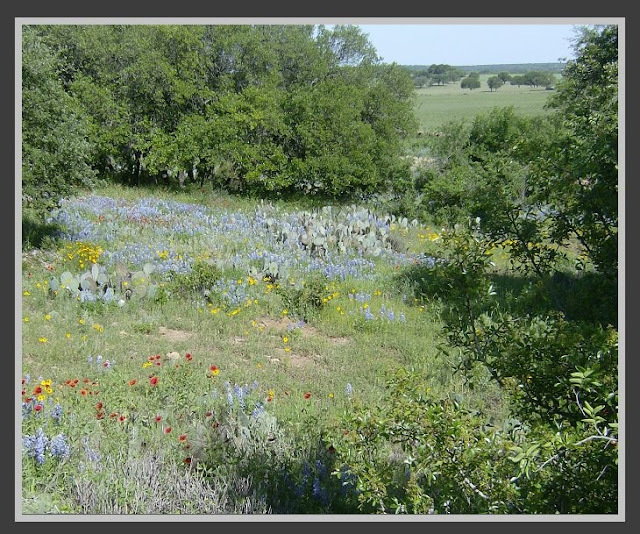 I love seeing all those gorgeous wildflowers! Gee-- wish I'd been with you! Beautiful flowers!! How beautiful! Looks like you must have made the pictures in Eden, the Garden of... Thanks for sharing! Sue, Texas trails are indeed happy trails. 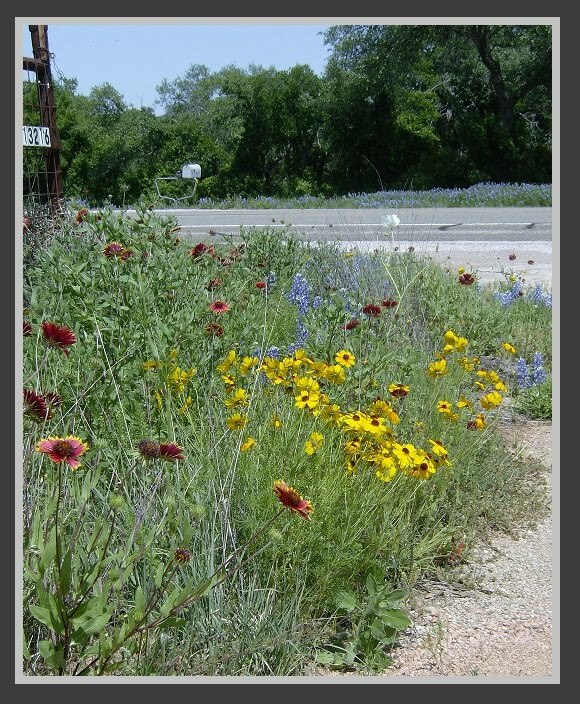 I think this is a stellar year for wildflowers here in TX. 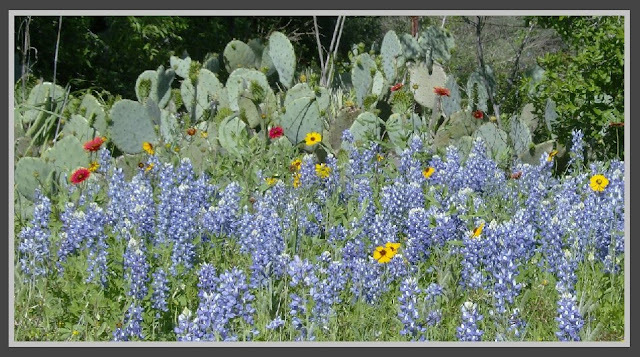 You need to come to Austin to visit the Wildflower Center. I shared a post on it today. Stop by for a visit. WE saw many of your lovely Texas wildflowers a few weeks ago when we traveled in your great state. Your photos are lovely. I visited Austin Texas about 10 years ago and saw all the lovely bluebonnets. They don't grow around here. The lady that lived in Austin gave us bluebonnet seeds. I don't have a green thumb so I wasn't surprised they didn't grow for me and we don't seem them where I live. My other friend who lives in a different place who has a green thumb couldn't make them grow either. That must mean I have to visit Texas again to see those beautiful flowers. How gorgeous--the flowers and you and your friends!